Best Hunting Boots » What Are The Best Hunting Boots? Hunting is not everyone’s cup of tea. However, for those who do hunt, there are several issues that hunting enthusiast gets involved with. One of the major concerns of a hunter is the kind of footwear that is the most suitable. You may wonder how to choose best hunting boots. Well, here we provide you with sufficient information to make a smart choice while shopping for hunting boots. While out on a hunting expedition, the primary concern is that you should be comfortable with your footwear. If you are bothered about your footwear because it is uncomfortable in some way, you have a problem. A pair of ill-fitting hunting boots can ruin a perfectly good hunting trip. Due to this reason, it’s important to know what goes into a good-quality, well-fitting pair of hunting boots. Let’s first take a closer glimpse at the primary function of hunting boots. All hunting boots are not made the same. The main reason for the different category of hunting boots is their separate applications. For instance, a pair of winter boots won’t be suitable for you during the spring. You will need boots with added ankle support if you are going to be hiking in mountainous terrain. You will need hunting boots of lighter material if you are expecting to be tracking deer for miles and miles. 1- Upland Boots: These are the classic model of hunting boots. You can use them if you expect to be walking for long distances. These types of boots are generally used for bird hunting or for tracking down early-season elk and animals of this category. 2- High Country Boots: Also known as mountain boots, these boots are meant for seasoned hunters especially if you will be hiking through mountainous terrain. They are sturdy and durable. Big game hunters prefer them because they are suitable for trekking through rugged and steep terrain. These hunting boots are an excellent choice for hunting deer and elk. 3- Rubber Boots: Where waterproof footwear is recommended, rubber boots are the best choice. In case your hunting trip takes you over swamps and streams, or you expect to be in a generally damp environment, your feet need to be kept dry. Waterproof hunting boots will fit the bill here. 4- Over Boots: These are useful boots to have if you are hunting in cold weather and do not have a lot of walking to do. Overboots are precisely what the name suggests — they can be slipped over to provide some extra warmth in cold weather. You need to choose your boots based on the category of hunting that you expect to do. There are two significant categories of hunting — active hunting and sedentary hunting. Active hunting will see you sprinting, walking for long distances, climbing, hiding and such physically-challenging actions. Sedentary hunting is the type where you lie in wait for your prey, such as waiting in a hunting blind. Obviously, if you are likely to be doing active hunting, you need a rugged and durable pair of hunting boots. Hunting usually involves a great deal of sprinting, climbing and tracking. Of course, you won’t be able to participate in these hunting activities if your baggage, as well as your footwear, are substantial. Therefore, select hunting boots that are lightweight to ensure hunting all day and to keep your feet free from pain and fatigue. Your hunting boots shouldn’t just be lightweight, but both sturdy and durable. In such a case, you can wear your hunting boots for extended periods without discomfort. Usually hunting boots with these essential features tend to be expensive but in the long run, you will be glad to have them. 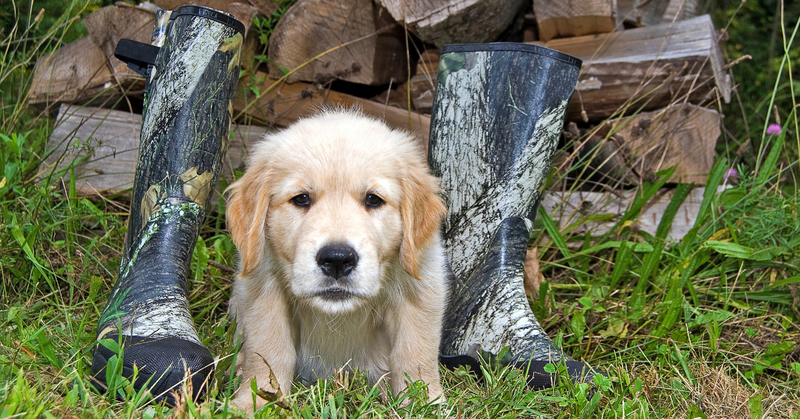 In choose hunting boots, it is highly essential for them to be GENUINELY water-resistant. This means that no matter how wet, slippery and muddy the terrain you are moving around in, your feet keep dry, warm and safe, no matter how long you wear your hunting boots. People tend to underestimate how what a challenging activity hunting is. With this in mind, your hunting boots should provide comfort and safety whenever you embark on a hunting trip. The best hunting boots usually have an ankle-fit provision to prevent your feet from sliding out when walking or running. This also provides additional support to your ankle, thus avoiding sores and strains. Moreover, a good pair of hunting boots need to a have cushioned insole with a rigid midsole and outsole ensuring that your feet are comfortable, safe and well-supported at all times. It is imperative that a good pair of hunting boots has sufficient insulation, depending on your hunting surroundings. If you usually hunt in an area with freezing and sub-zero temperatures, then, your hunting boots should be capable of keeping your feet warm and dry in such a scenario. On the other hand, if you are hunting in a warm area, your hunting boots should be well-ventilated but need to keep your feet comfortable as well as free. In the case of extreme typed of hunting where you find yourself in wild areas of the jungle, you might be exposed to wild and dangerous creatures. The likeliest risk in such areas is snakes. Well, you can protect yourself from venomous snake bites if you wear snake-proof hunting boots. This sort of boot usually has a steel toe, and the leather will be extremely thick to protect your feet from the penetration of the fangs of a snake. Steel toes also offer an added advantage in an area where there are likely to be fallen objects like branches and stones. Steel toes will protect your toes from injury. The terrain in the can be wet, boggy, marshy and slippery. With this in mind, while choosing the best hunting boots, you should ensure that they that have sufficient traction is best, to prevent you from slipping and falling down while moving in the wild. You don’t want to waste valuable time removing and wearing your shoes. It can be annoying as well as a waste of time in which you could be doing more meaningful things. Ensure you have a comfortable fit. Before setting out on your hunting expedition, have a few practice sessions of wearing and removing your hunting boots to check that you can do this with ease. Finally, your hunting boots should be the ideal fit for your foot size, particularly while wearing socks. You can get hunting boots in different sized for men and women. So, make sure that you are comfortable in your shoes. If your boots are either too tight or too loose, you will enjoy your hunting trip on a bit. Useful Tip: Never try out hunting boots without first wearing socks. 1. 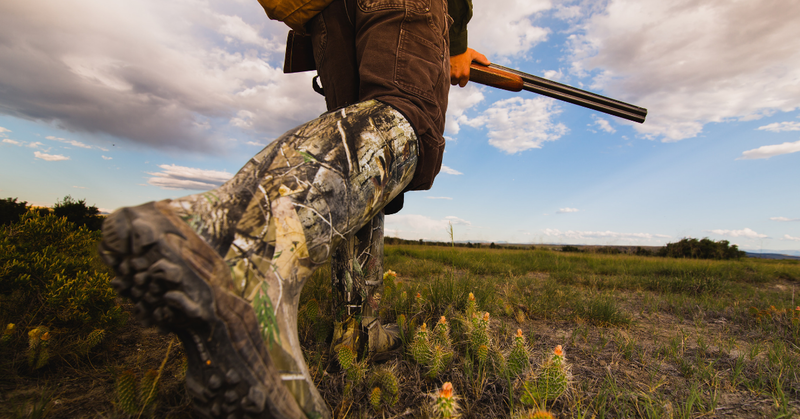 Be realistic to match your hunting style with a boot meant to perform on the terrain where you are going to hunt. 2. If cold weather is a factor, consider moving up a full size but ensure that your hunting boots are well-insulated. 3. If you have special needs, like flat feet or high arches, consider using higher-grade insoles like Superfeet or Synergy Footbeds. There are several brands and models in the market to choose from. 4. If a hunting boot can twist from side to side more than an inch, think of it as equal to the support of an athletic shoe. 5. Before you buy, check the vendor’s return policies, especially the fine print. 6. A hunter’s foot changes by at least a half size by the afternoon under normal hiking conditions. 7. Give yourself plenty of break-in time before the boot’s first day afield. 8. If you can see through a sock when you hold it up to a light, toss it in the can. Buy quality merino wool socks. 9. Pay attention to the 8 rules of fit and your hunts will be about the process we all enjoy, not the pain. The fact is, when you don’t think about your boots on a quest, you have chosen well. It is imperative to have a well-fitting pair of hunting boots if you are going hunting. You can only get the best out of a hunting expedition with the best hunting boots. Just follow these basic tips to have a safe, dry and fun-filled hunting trip. We hope you enjoyed reading this article and that you have got some benefit from it. Please leave your valuable feedback, comments, and questions, and we will be glad to get back to you.